Understanding championships is aimed at providing information and guidance for new players via a question and answer format and brief explanations. Q. What is that scrolling text on the T.V screen and should I click it? A. A Championship is an organized event that is held on a regular basis. Players compete in a player vs player based tournament. Rule sets are also provided. A. 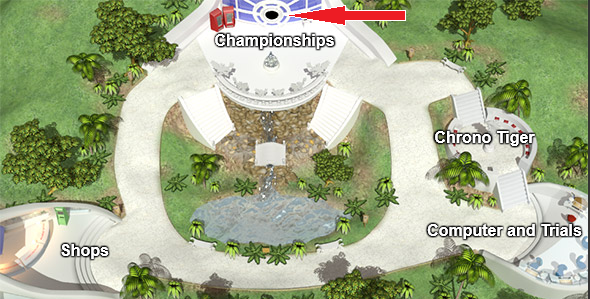 In championships all cards are provided for the player for the duration of the championship. Q. How long is the Championship? A. Championships go for a over a week and are broken up into 3 phases. Q. How do I qualify for each phase? *Players are required to the play a minimum of3 games per phase to be eligible to advance. *Some championships use a 2 round format to decide the winner of a game. My Precious :Utilizes the gain mode function. Players will have a multiple of Precious card that they have to protect. The catch is all players are required to play 1 of there precious cards each game. Q. My cards are gone during the phase change over do i have to buy them again? A. Yes for all championships that points are supplied, players must re-buy at the start of each new phase. Q. Do i get to keep the championship cards? Q. 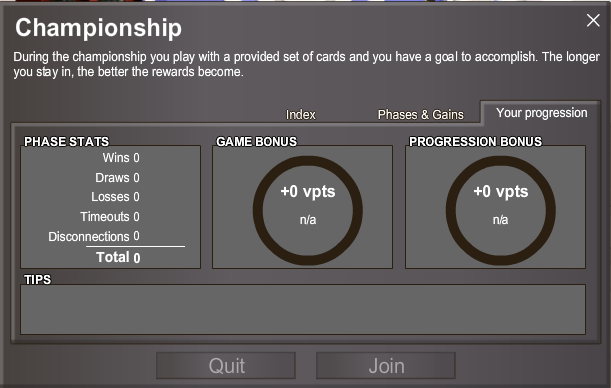 What happens if my points get to 0? A. Once a players point value reaches 0 they are effectively out of the championship. *although the player will still be able to challenge / be challenged , all games are locked to 'friendly' status and no points will be won/lost for you and opponent. Q. Why have some players got a bracket score next to their name? A. In championship a vpts bonus is awarded to players for playing multiple opponents. Q. Why has the number of players to advance in the 2nd phase lessened from last championship? A. The total number of players determines the number of players to qualify for each phase. 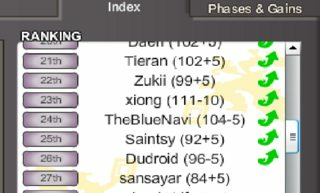 So the greater or lesser amount of players in phase 1 will effect the amount throughout. Q. I am still new at game, should I join? A. Yes. Prizes include A Cards that cant be bought from shop. 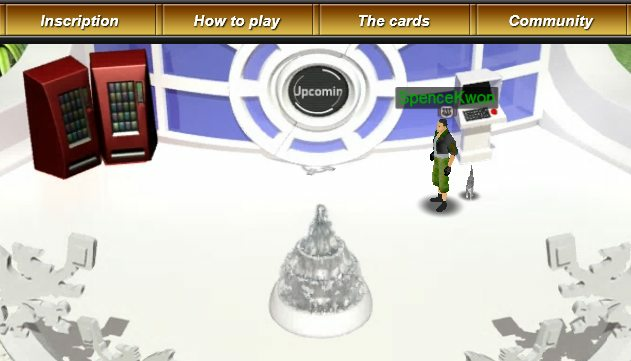 * Utilizing the replay function can help new players understand rule sets and might even help you select a more competitive deck.- to view replays click on a players avatar and view their profile. From the Last games tab simply select a game to view that replay. Last edited by SpenceKwon on Sat May 28, 2016 4:53 am, edited 2 times in total. Q. If I quit the Championship, will I be disqualified? A. You can quit and join the championship as many times as you want, as long as you are qualified. So play champ games when you feel strong, and play regular games when you want to unwind. Updated information and added some pictures.